The Only ManyChat Courses You Need to Know About! The use of Facebook Messenger is widely taking over where email slipped through the cracks so it is best to have a great resource to learn how to use ManyChat which is the Go-To platform for Facebook and learn how to market with it. Using Chatbots for Marketing is not for Everyone! Why do I start off this post with that? Simple really….when it comes to learning anything in this world, people want that quick win and a turnkey system that just pours money out. In that statement, if you do learn the use of Facebook Messenger for marketing then you can easily name your price when making a system for a business or digital marketers. You can also use this for your own use with E-commerce and many different areas to have a well-rounded system that just wins. Our goal here at Smart Bot Marketers is to help everyone with the best resources that we can however, we may not have everything you need so we put together a list of the most trusted and best courses to learn from for success. If you are looking for a free way to learn how to use ManyChat, the best source is most probably the creators themselves. The company offers a free video training course that Dan Gamito taught. He is the Head of Growth of ManyChat and Molly Pittman joined him in the course who is an expert from the Perpetual Traffic team. This is a great resource for beginners, I will say that for beginners and for high-end people looking for those details to make you successful, I feel this does lack in those elements. Again, do not get me wrong, this is a great resource for a how-to but for beginner to success it does lack. How to Make an Easy $100K a Year Using Facebook Ads With Messenger Bots! This course is unlike all the other previously mentioned ones above. This course by Smart Bot Marketers makes a difference by providing lessons on how to master ManyChat and how to apply what you have learned in marketing. This is the most well-structured course for making a successful venture and is very supportive, for the beta entry that I did for the course, the results were so great I even gave some of my students my clients to get the ball rolling. There are 9 chapters with a load of valuable information in them which has not only helped me succeed, this is also what the top #1 use to win in their businesses. Plus….to be honest, I am so swarmed with work that it is a great feature in business to have a valid resource to turn to when there is too much work to handle. I mean, what is better than to hand off clients to your own students because the quality of service is one and the same. Get the first three chapters of my course for $47 which blows everything else out of the water. which is the proper way to set up everything, the ManyChat basics, and the ManyChat Advanced. Over 16 hours of step by step video training along with PDFs. Whether you work in real estate, B2B, or you have an online store, you will benefit from the step-by-step tutorials. It teaches learners how to build a Messenger system that works with their digital marketing efforts. This course comprises of in-depth modules for the bot and digital marketing essentials, including SEO and Facebook Ads. 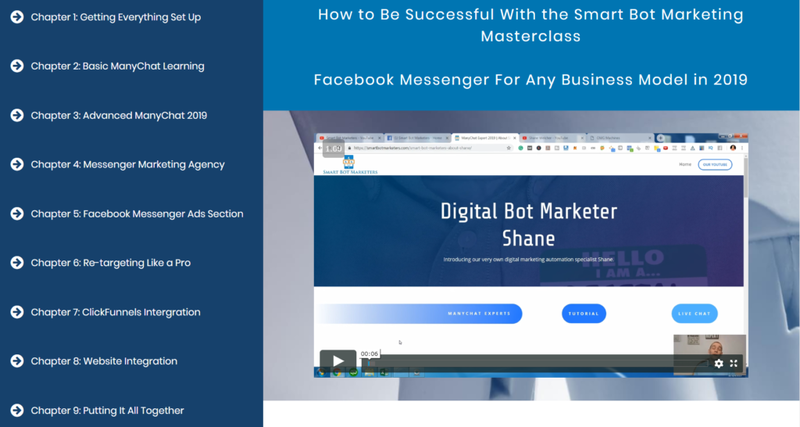 At Smart Bot Marketers, we are here to give the very very best detailed course for making ManyChat or Facebook Messenger the go-to platform to tie any digital marketing system together. Whether you are just starting out or a digital marketer that has years of experience Facebook Messenger is something that is meant to excel your game and make you a have a more successful business.  We strive at making businesses better for the simple fact of we are user-friendly we teach the beginning fundamental along with the advanced features that are just not talked about anywhere on the internet. The reason that I gave the name smart to this it this company is because this is the approach that we do it is smart marketing altogether using Bots which is Facebook Messenger. With that said, we tie in Facebook ads we tied together with your Clickfunnels and your websites we show you how to integrate everything together in a seamless manner to be successful and no matter what venture you are in. Who is this course good for? ManyChat leading the way as the go-to platform which is what we teach and is what botbuilders teach how to use to make sure that we build fundamentals that are great for up-and-coming entrepreneurs. One of the highest cost training group, however, one of the most profitable. With almost 1,000 students enrolled, this course is a must-try, particularly for beginners. Botbuilders has several tiers of entry to fit whatever area you are in your business so this is easy to fit your needs and grow your membership as you grow with your success. 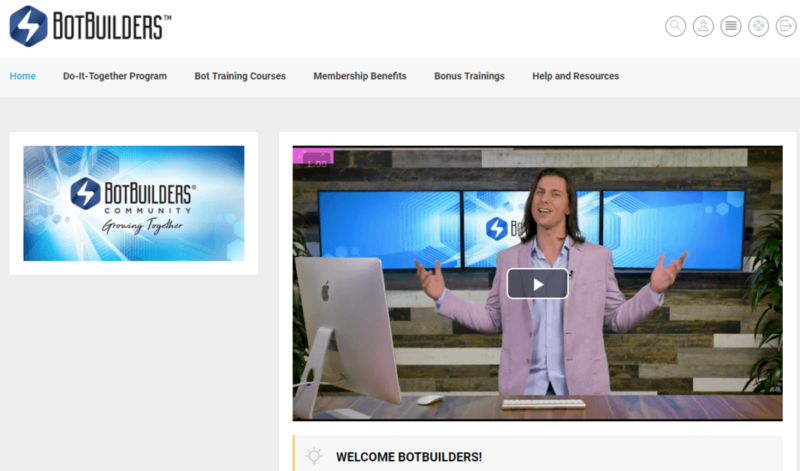 I am actually an active member in Botbuilders just like most of the successful people are and am know Matt Lietz personally so I can say that he is one of the most friendly/helpful people in the business. The course will give you lessons on how you can generate a chatbot flow while figuring out the best method to ensure subscribers get into that flow. It also allows the members to upgrade to an elite in which time you get a full business structure if you are one of the more serious people looking for a way to either increase your business or build your own from scratch. While I firmly believe that Botbuilders is one of the best courses out there however the price of Botbuilders and their training platform is a little bit steep for everything coming in the near future. BotBuilders themselves is a great place to be as far as learning ManyChat and starting an agency from scratch but as far as the support that you have when it comes to learning the detailed orientation of something that is not pre-configured is slightly harder to understand. They do have a great support group whether it be in their Facebook group or on the actual training platform the support they have it bought Builders is very very good. All of the above text is coming from somebody that has been part of the bot building community so I very much support what they do and appreciate everything that they do so please don’t underestimate this program I’m merely just want everybody to be aware of the cost before they enter. Matt and Nic are great at what they do while doing all they can to improve BotBuilder all the time. When you join, you get access to their secret Facebook group which is worth the cost alone and you get the full course content which is a vast amount of knowledge. Chatbots are slowly get rid of the need to have a conversational marketer and the like to alleviate the burden of performing time-consuming tasks. For companies and online business needs, they are indeed helpful, especially when executed with an effective strategy. Some robots in the movies may warm our hearts but others are a bit scary. While Hollywood and the media usually portray them as invaders, these robots do not exist to take over the world. In fact, they are around so they can make our lives much easier than ever. The idea of chatbots is quite intimidating but ManyChat is here to make the creation of bots a breeze. For those who want to learn more about the possibilities, features, and leverage chatbots for their business growth, it starts with a simple Facebook Messenger course for creating bots. If you are still not convinced then you should see the benefits of using ManyChat Facebook Ads for marketing, these courses talk about that. What Exactly is a Chatbot and How Can Anyone Benefit from It? In the world of technology, chatbots have become invaluable. These tools are created to engage with the messages that greatly improve engagement with customers or potential customers. The use of chatbots in Facebook Messenger is vastly becoming the most used environment for the #1 percent of the top earners on the internet. With email open rates being at an all-time low of ten to fifteen percent, using ManyChat has gotten everyone’s eyes open because the open rates are around 70%. This means you can get more attention for your business or for someone else’s business if you are running a marketing agency. And if you aren’t running an agency, this is one of the easiest ways to start. In recent years, the chatbots have improved drastically, in fact, using systems like ManyChat and their monthly improvements…..it just makes marketing easier than ever if done right…the secret is….done right. They can now give different responses based on certain keywords, give broadcasts, Facebook ads, and growth tools that integrate into any digital marketing platform. Many companies across the globe are implementing this style to address their customers and interact with them. According to Facebook, there are about two billion messages sent between organizations and consumers in one month alone. Additionally, the same data showed more than 55% of customers chose to communicate with a business through chatting instead of calling. About 53% of individuals would shop at a store that they can freely message. These numbers alone show that these bots are a necessity for every business. Facebook messenger bots may not be a new tool but their usage has gained momentum just in the last few years. Google Trends data showed that the search volume with the term “chatbots” and related keywords grew almost 20 times in the last five years. It shows that people and businesses have started to realize the value of these bots. Other ways that customers would use a chatbot is to get ideas or information regarding a certain product before they buy it and adding themselves to a service or a mailing list. Chatbots have become a wonderful addition to any business, you need to stay competitive so having tools like this are just a win and have been proven more effective every day. Several organizations already see the benefits of using chatbots and it is why a lot of programmers and even beginners are learning through building chatbots through a Facebook Messenger course. Companies these days have Messenger chatbots high up on their marketing asset lists. The adoption rate is quite impressive here with over one billion people using Facebook messenger monthly. In 2017, it was confirmed that there were more than 100,000 bots on the messaging platform alone. Brands talk to their customers using chatbots, which also allow them to collect information, take orders, and make recommendations. With such a huge number of users, it is highly possible that your customers are also using Messenger. Therefore, you can benefit from a Facebook Messenger course for creating the bot. You can send and receive text messages, images, voice recordings, and videos with a call to action (CTA). You can create templates where the users will simply need to tap the buttons to begin interacting with the bot. One effective way to know if your customers are on Messenger is to determine your presence on Facebook. If your audience communicates with you through this social media site, you can bet that they are using Messenger as well. As mentioned above, your bot requires a purpose (use case) to operate well. You should not just create a bot to improve your business presence online. The main reason why organizations turn to bots is to address the issues of their customers regarding a product or service. Finally, you should also be willing to provide time to support the chatbot. Monitor the interaction levels, the customer experience, and check for problems every once in a while. 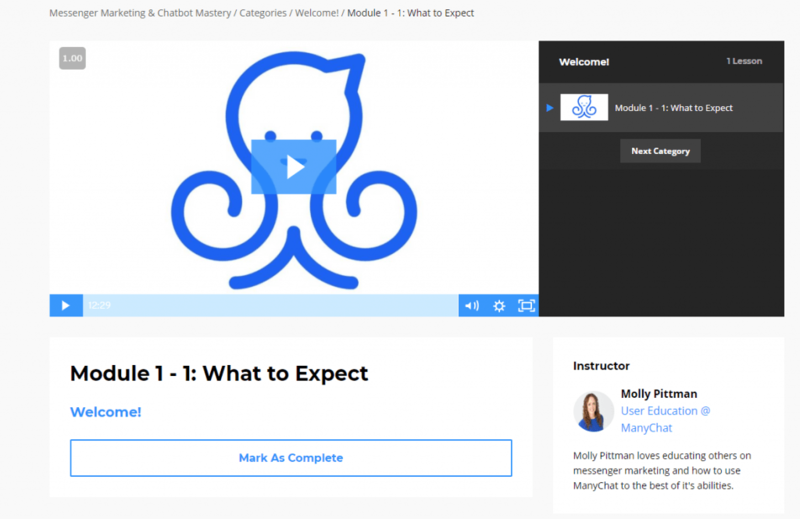 What is ManyChat and Why are Online Courses Sprouting to Help You Learn It? ManyChat is one of the chatbot builders that exist today. For most people, they may have been working with social media for several years but they are not exactly programmers. You could be among these individuals or perhaps with just limited knowledge in coding. The word “bot” may have sparked your imagination with codes and strings of undecipherable texts. Perhaps it is one of the biggest reasons why you are looking to try a ManyChat course. Before you pay for a course, it helps to know a little bit more about ManyChat. As mentioned, there are numerous other chatbot builders around, so it is not the only option you have. Let us take a look at some of the important details about this tool. You can test how you will be using ManyChat with the free version. It gives you the opportunity to determine whether or not it is the most suitable builder for you and your organization. It is a front-facing platform. The program is clean and streamlined with just a few options that beginners will like. Creating a flowchart is typically easy. At the start, you will find that playing with boxes is all you need to form a flowchart. You can create the messages from there are and provide some essentials, too, such as your product or company communication lines. You deal with an audience made up of security-conscious people. You have a ton of followers and customers who need tailored services. You plan to give something out to your followers. You are a beginner in dealing with bots. Your marketing team is still small. You are looking for a great alternative to newsletters. When looking at the features of the program, one of the things that marketers like about ManyChat is that it is simpler than other chatbot creators around. Therefore, you may be asking why you would want to take ManyChat training if it is not that difficult to use. Setting up messages: In this area, you can create the text greeting and the other messages that you will use as the bot talks with the users. It has other components aside from text, such as image, card, list, video, and audio. Trigger options: For the user to “trigger” a response from the bot, you can build the choices. For instance, the Welcome Message will appear once the user clicks on “Get Started.” Another example is through a keyword that the user has typed and you have pre-defined it for the bot to react. Growth tools: This feature allows you to capture a new audience or leads and you can add them to your sequence. It is more personal, which is something that users like. In this video, you will see how to set up a growth tool using the platform. With the basics out there, it is time for you to explore your options when it comes to courses for this chatbot builder. Make sure you check out our course recommendations, this will save you thousands, I wish someone told me. ManyChat is an easy-to-use program that lets you build a chatbot that you can use for your organization. While it is true that you can succeed without going through any of the ManyChat courses above, you will surely benefit from them and decrease the chances of getting banned from Facebook….this is what stops a lot of people. In a world of competitive business and an unforgiving audience, you want to be on top of your game at all times. You cannot leave your customers waiting for your response while you handle other important tasks in your business. With a well-built chatbot, you can reach out to your audience and address their problems while allowing them to maintain their trust in your brand. The ManyChat courses above will help you leverage chatbot and Messenger marketing, so you can grow both your business and your customer volume. The top two courses that you need to be aware of in 2019 and leading into 2020 are smart Bob marketers and Bot builders. both of these courses in both of these brands Express the user-friendly environments that are needed to teach the very fundamentals in being successful in today’s industry. I made this post to merely show what were the best outcomes in the best are top courses for mini chat and for Facebook Messenger marketing these are my recommendations that are are the most highly regarded in the industry right now feel free to look around anywhere else but I guarantee you will come back and see that these two are the very very best if you are looking for a free starting platform it may be best for you to go to mini chat themselves. Manychat does offer a free course it is a short and sweet course that does not really get detailed into the nuts and bolts of what it takes to actually become successful. the mini chat course goes over the content in the course as if somebody had already had prior experience in doing Facebook marketing are Facebook Messenger marketing. Therefore it is safe to say the best two courses if you are looking to be successful in marketing Facebook Messenger or with ManyChat itself. Again whether you’re an e-com or a brick-and-mortar business or a social media marketing agency or just starting any kind of digital marketing agency you need to have Facebook Messenger Marketing in Your Arsenal so I highly recommend you check out either Smart Bot Marketers course or the boat builders course and become members in both of their Facebook groups. Smart Bot Marketers does have a public Facebook group that you can join today and they also have a YouTube channel that you can check out for free as well they also when you get the course itself have a private Facebook group that you joined then to get more intimate training as far as a one-on-one training and everything you need to make sure you are 100% successful in your venture.